HomeArticlesShould Real Estate Investors be Licensed? Should Real Estate Investors be Licensed? The title of my post today is a question I hear all the time in this industry. I’m sure you have too, regardless of whether you’ve been involved in REI for decades, or a month, or a week. Should real estate investors be licensed realtors? Well, I’ll go ahead and say it – there is no totally right or wrong answer, it depends on a lot of variables. Look, it’s perfectly fine for a real estate investor to get licensed. I even encourage my students to get licensed. I’m an investor and I happen to be licensed – and I love it. The biggest reason is because it gives me access to information I can’t get without being licensed. I believe that when you are first starting out, one of the biggest hurdles most new investors face is the ability to comp properties and to search tax and other public records, all of which provide valuable information about buyers and sellers. By being licensed and having access to the MLS, you no longer have those obstacles. But, I can’t personally be the one to tell you what to do. What I can do is provide some useful information that should help you make your decision. Each path has advantages and disadvantages, so let’s get to it. Access – Easier and more direct access to all the data you want and need on MLS. Of course there are other ways to get access, but being licensed means you don’t have to rely on anyone else to help you. You’ll quickly, easily and legally be able to run search queries, find candidate properties and dive into the insane amount of useful historical data on the site. Make Money – When investors sell a property using an agent, about 6% of the sale price is going to the agent’s commission. But, when investors buy a property, the agent is also typically getting a 3% commission for facilitating the transaction. So, if you’re the investor and the agent, you’re saving about 9% of the total sale price of the property in extra profit, instead of that money going to another agent. Also, it’s easier to get paid a commission on deals that are referrals – lemme break this one down: Let’s say you get referred a deal, and you’re licensed, you can’t legally pay someone a referral fee. And the reverse is true if you are the one making the referral – unless you’re licensed, and then the person you referred can pay you a portion of the commission on the HUD. That’s additional income you can bring in, in a legally endorsed fashion. Keeps You Morally in Check – Having a license holds you ethically accountable. It forces you to disclose on your marketing materials and website that you’re licensed, which then forces you to maintain a certain level of integrity and ethics. Be a Helper and Make More Money – You can help friends and family who are buying and selling their properties. And it’s an easy way to earn extra income. Eliminate the Middle Man and Gain Control – Instead of waiting and relying upon someone else, you can submit offers and negotiate directly with listing agents. You’ll have full control by being able to work directly with lenders, appraisers, inspectors and closing attorneys. Being your own agent for your purchases and sales allows you full control over your deals. 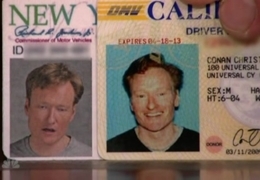 Credibility – Whether it’s true or not, having a license can make you seem more credible. It gives you the opportunity to play the ‘I’m Legit’ card. Dealing with Other Agents – For me, this is the biggest downside: You have to deal with other agents, who by nature of their training, are typically stuck in a traditional real estate world and sometimes don’t understand the creative side of investing. They were never exposed to it and they just don’t get it. I’ve been in situations where other real estate agents have said, “You can’t do the deal like that, that’s illegal, I’m going to lodge a complaint against you with the Board of Realtors…” As an investor, I think outside of the box and get creative to close deals and make more money – it’s not illegal, it’s just different. 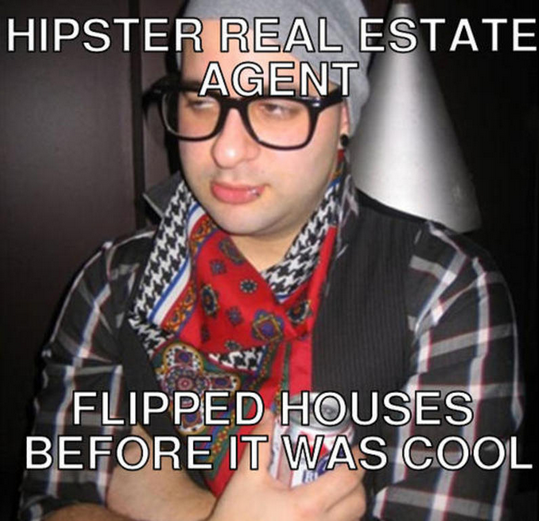 Some agents can’t wrap their head around that concept. Paying for the License – Getting licensed generally costs about $200 bucks. Once you’re licensed, you need to find a broker to work under, and that may involve some additional fees. Time Spent Getting and Retaining Your License – You’ll probably spend about 100 hours in coursework, studying and taking exams to qualify to get your license. And, you’ll be required to earn about a dozen hours per year in continuing education classes to keep your license. Higher Standard – You’re held to a higher standard because you’re considered to be “an expert” in the industry, which some investors feel negatively impacts their business. Paperwork – If you’re a successful investor and agent,you’ll hopefully do loads of deals, which require… yep, loads of paperwork. You’ll have to write offers, submit forms to attorneys, agents, brokers, the MLS, and so on. There are two caveats with this disadvantage though: 1. You can always pay someone to handle the paperwork. 2. If you really are closing on tons of deals, all that paperwork will be worth it. Disclosures – There is no gray area when you’re licensed – even when you’re required to disclose that you’re a realtor. You legally have to disclose to buyers/sellers that you are a licensed agent; you can’t “knowingly take advantage” of anyone. Having said that, I can’t think of any situation in which I had any issue disclosing that I’m licensed. If you choose to get licensed, you need to make sure you find an investor-friendly brokerage firm to hang your license with. If your broker is onboard with you being an investor and a realtor, you’re fine. You just need to explain to them that you will be running some transactions through their firm, but not all of them. If they understand what wholesaling is, all the better. If they say, ‘We want you to run all your transactions through us,’ you negotiate by telling them that you’re not listing all the deals on the MLS, you’re not running them through the brokerage or picking up insurance, etc. … but instead of the usual $400 fee per transaction, you offer them $150 to run deals through their brokerage. You have to tell them you’ll be doing a ton of deals and they’ll probably be okay with that arrangement. Getting licensed or not is an incredibly important decision. Anyone planning to become a long-term real estate investor should really give it a lot of thought. Weigh the pros and cons, and no matter which way you decide to go, use that path to your advantage.